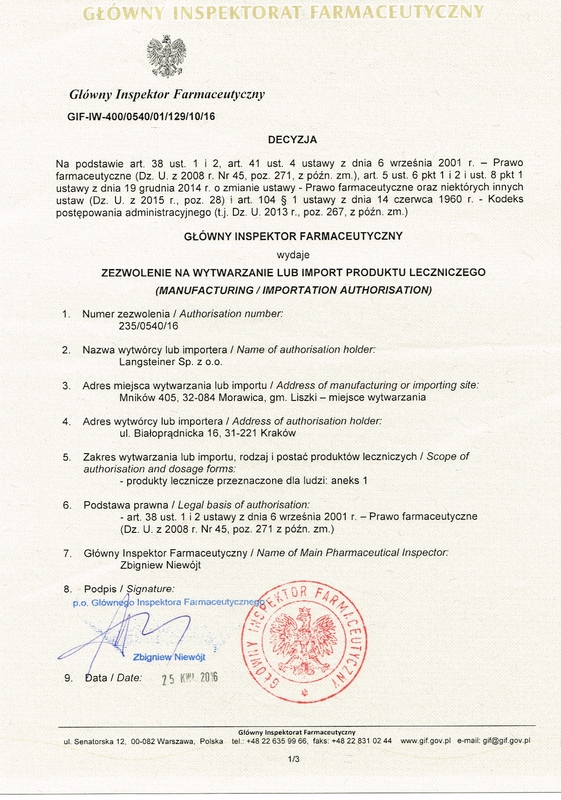 EctoAlerg and EctoSkin are the first preparations available on the Polish market which contain ectoine. They relieve the symptoms of allergy rhinitis, conjunctivitis and atopic dermatitis. They do not contain preservatives. 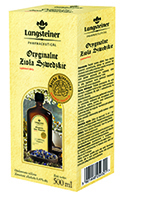 Monastery pharmacy consist solely of herbal preparations. Pure, strong extracts or their unique mixtures combine tradition with knowledge of herbal preparation usage in health protection and supporting many body functions. 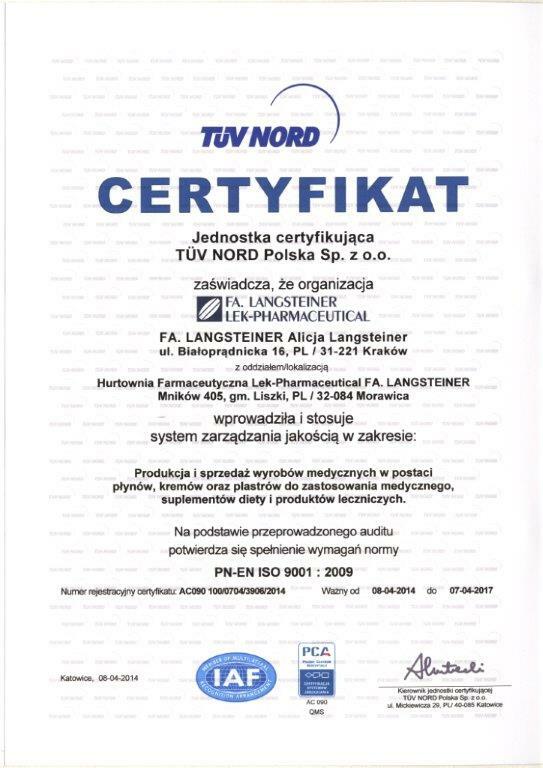 The clinic of health and beauty in Cracow has been based on a holistic approach to health and beauty. To enable the patients to contact with top specialists of traditional medicine, aesthetic medicine and cosmetology are in one place. Each woman’s care about health and beauty should go hand in hand. A healthy body looks more beautiful and ages more slowly. A healthy lifestyle, nutrition and providing appropriate dietary supplements help us feel more feminine and enjoy life. The nature has created many substances which gently and leniently help kids to fight against vitamin deficiencies and repetitive infections or allergies. 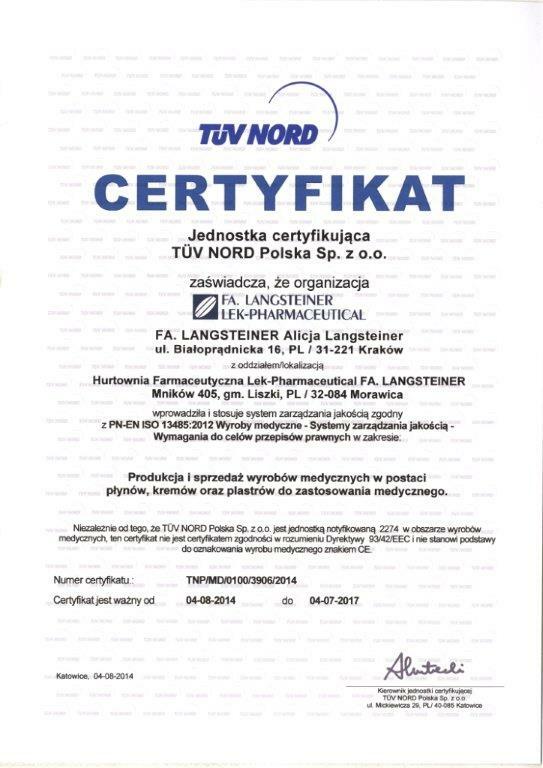 We are preparing medical products based on natural ingredients created with children in mind. For the last 17 years on the map of traditional Cracow we have established another tradition: a tradition of perfect catering service. It results from cooking passion, knowledge of a healthy nutrition and care of quality and form of dishes served.